The linen table lamp with gunmetal trim is charming lighting fixture. 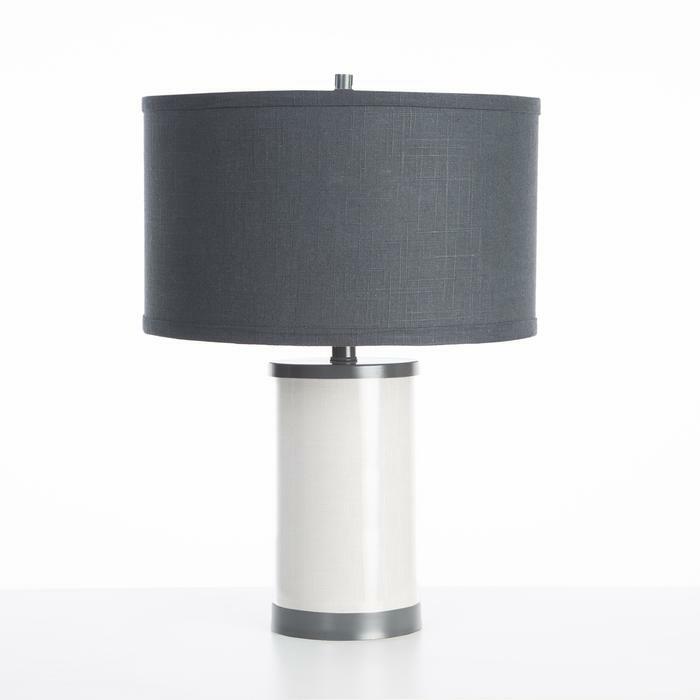 The shade is handmade from Oilo's Signature Linen Blend Fabric and the base is crafted of mouth blown glass with fabric interior and a gold or gun metal finish. SHIPPING TIME FRAME: Each light is handmade to order and will typically ship within 10-14 days. Once the order is placed and is shipped to the Customer they are held responsible for any shipping or restocking fees due to refusal.